2 Bald Butchers | What’s a Swineapple? Ever tasted a Swineapple? Do you even know what one is? Q: How do we get our heads so shiny? 2 Bald Butchers Q&A has generated some great questions. This one’s a cracker from Sally! 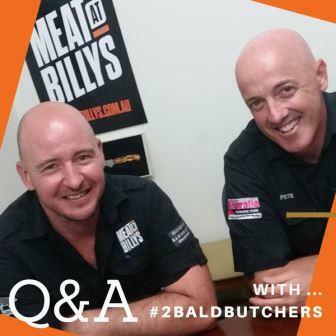 Our 2 Bald Butchers, Billy & Peter are waiting to answer your questions … in their own unique way of course :-). * What part of the cow does the sirloin come from? * What farms do we source from? * What size are Billy’s shoes? One of our #2BaldButchers has been losing sleep! Should he cook his ham? Why would you glaze your ham? Check out the video below to find out why and at the same time, let Billy show you how to prepare your ham for glazing! It’s that time of the year again, Movember … helping men live happier, healthier, longer lives! Check out the 2 Bald Butchers Movember clip below to find out how we are helping the cause. It’s that time of the year again, Movember … helping men live happier, healthier, longer lives! Meat at Billy’s is proud to be involved again this year … you’ll be sure to see some rather fetching mo’s on the crew and we’ll be donating a percentage of both store’s takings from Saturday 26th Movember :-). The Movember Foundation is dedicated to taking action by tackling men’s health on a global scale, year round. They’re addressing some of the biggest health issues faced by men: prostate cancer, testicular cancer, and mental health and suicide prevention. So come on down and get your Meat for Movember! It’s time to introduce our 2 Bald Butchers … Billy, and Peter, from Meat at Billy’s :-)! In this episode, they get on their HO, HO HO & are very keen to talk about Christmas! 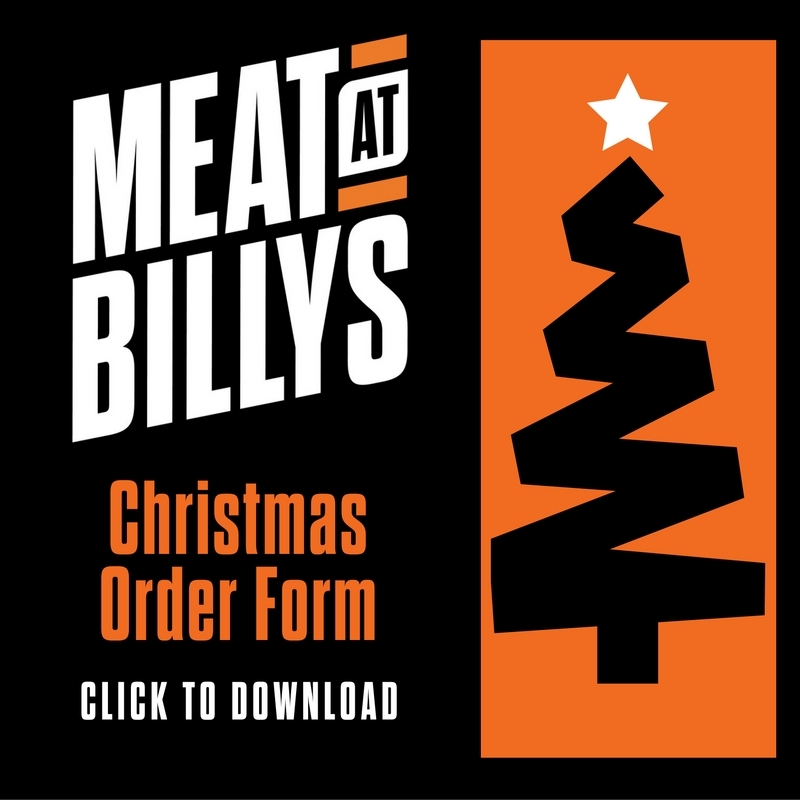 Click on left to download your Christmas Order form or find out more about Christmas with Meat at Billy’s here! We won't pass on your details to anyone else. WE HATE SPAM TOO. Both the email and the canned versions. WIN a $150 meat tray! Yes, I consent to receiving marketing from Meat at Billy`s. Thanks, you are now signed up! Keep an eye out for your meaty emails! We won`t pass your details on to anyone else. WE HATE SPAM TOO - both the email & the canned versions :-)!